The popularity of the Triumph 6T Thunderbird hit new heights in 1953, when it was ridden by Marlon Brando in the movie The Wild One. This was despite protests from the Triumph American importers who were concerned about the motorcycle being connected to rowdy motorcycle gangs. 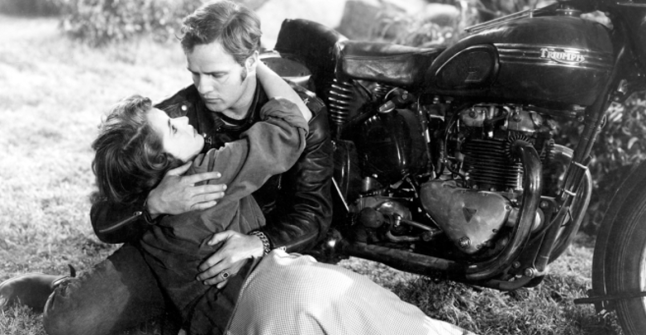 However, appearance in the movie provided perfect exposure to the American market, the original objective of Triumph when launching the Thunderbird in 1949. The Triumph 6T Thunderbird was their first post-war 650cc twin engine motorcycle. 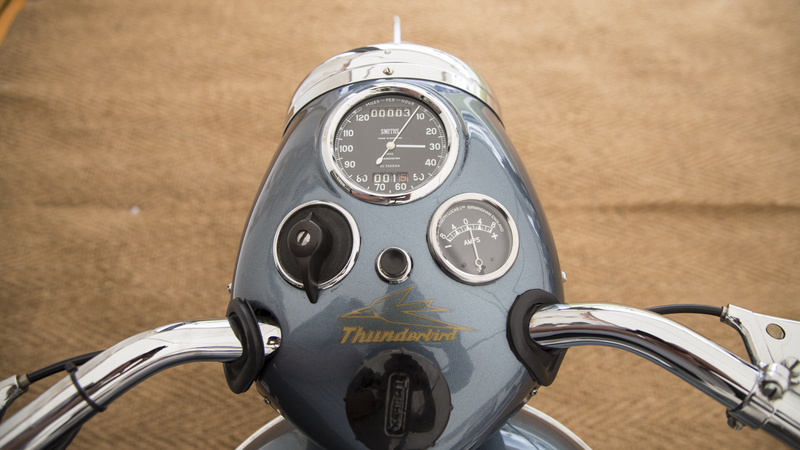 Even the 'Thunderbird' name was chosen by Triumph Managing Director, Edward Turner, with the American market in mind. 'Thunderbird' is a legendary creature in many North American Indian's history and culture and is considered to be a supernatural being of power and strength. The launch of the Triumph 6T Thunderbird was fantastic PR stunt. The motorcycle was unveiled publicly at Montlhery near Paris with three standard production bikes being ridden around a circuit by a team of riders averaging a speed of 92 mph over a distance of 500 miles. They even completed several flying laps at a steady 100 mph before being ridden home. 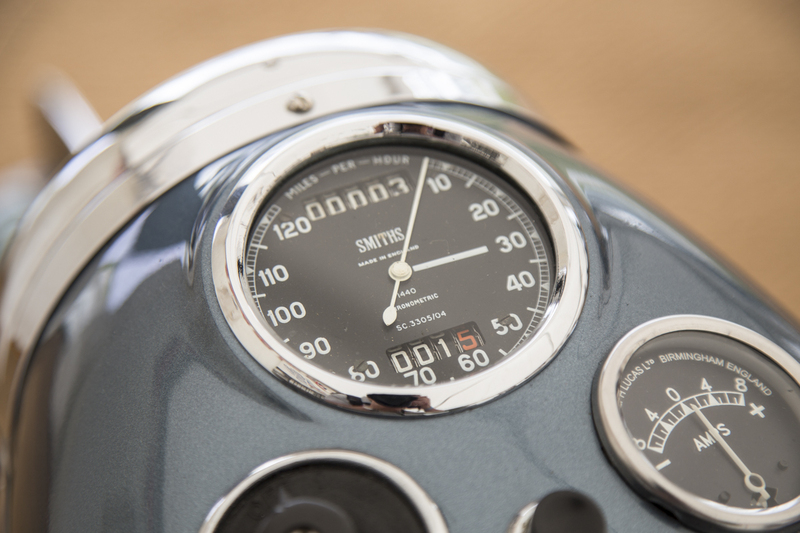 SMITHS Instruments already had a long-standing relationship with Triumph and designed and manufactured the speedometer. It was mounted directly above the large front headlamp, perfectly located for the riding position. The gauge showed a maximum speed of 120 mph. The last Triumph 6T Thunderbird was produced in 1966. Gavin Roberts is working very hard at promoting Smiths instruments and is doing a great job although the instruments which he manufactures are brilliant anyway.